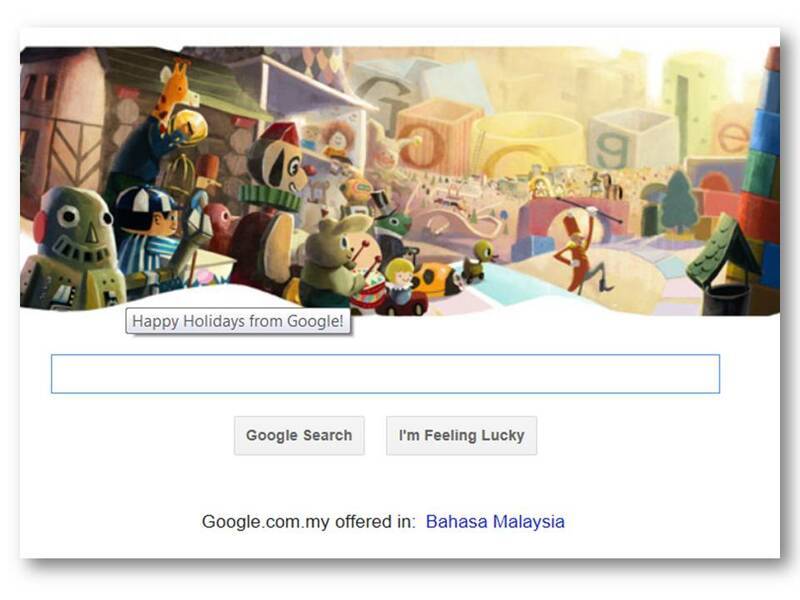 Everyone, Happy New Year 2013! Where did the time go? 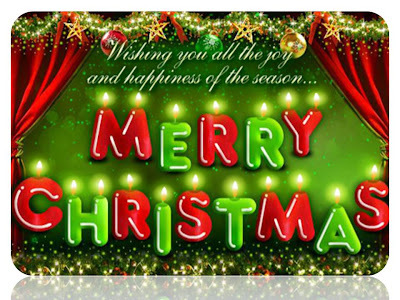 We have come to the last day of yet another year. Some had fun, some say done. Some too much of the elements, some not enough sun. Tomorrow will be a new year. 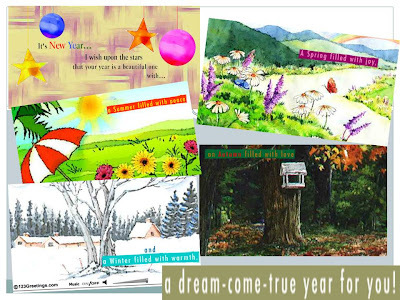 I wish You and Your family a new year of good tidings, joy and laughter, love and dreams and living happily ever after. Google doodle closes the year depicting the great moments of 2012. If you are on the Google Search page, clicking on Watch and remember (refer to doodle image above) will take you to the video below. 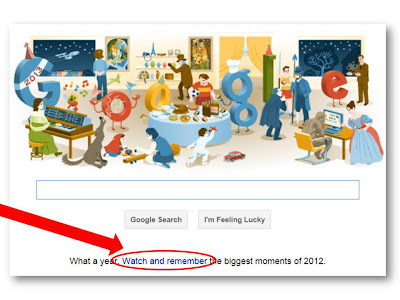 On the same Google Search page, you can also share your 2013 resolution with the world as well as read the resolutions posted by others around the world. Enjoy the video..
Everyone in business would know the economies of scale. Otherwise how else would Dollar Stores make money with the prices they are charging for the kind of products they have. 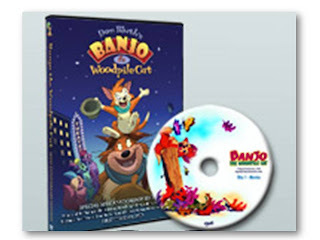 Every business from the neighbourhood mini-market to corner candy stores to bigger disc duplication outfits can benefit from buying supplies in bulk. If the supplies are non-perishable, so much the better. When stores buy in bulk, they will also generate savings for the customer by pricing their wares lower. If you are a user of Jalan Jelatek, you would have noticed a couple of bungalows high up on the hill at Bukit Setiawangsa. A colleague once mentioned that the price of those bungalows have appreciated many times over. I wonder what's he thinking now. 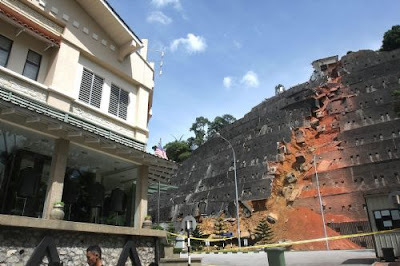 This is what you will see at Bukit Setiawangsa, Kuala Lumpur, whose concrete embankment has collapsed due to soil erosion subsequently resulting in a landslide. 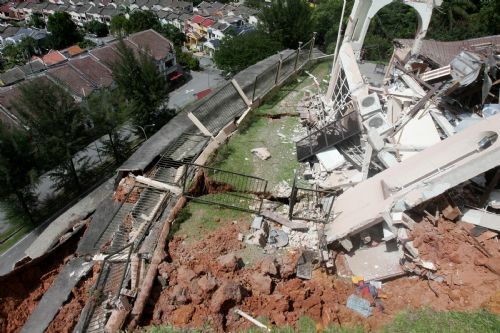 According to Puncak Setiawangsa residents association assistant chairman Fauziah Jamaluddin, only homes and shoplots opposite the site would be affected and other houses in the area are not affected, people can go home and move around freely. 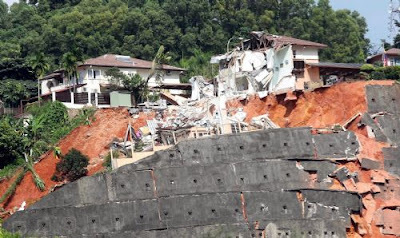 As reported in another article, Fauziah Jamaluddin said that many of the residents in the area were on holiday, and had not been in their homes when the embankment collapsed on Friday night. 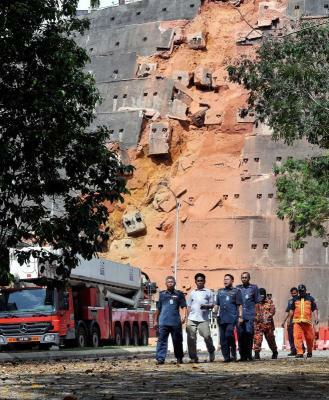 Kuala Lumpur City Hall (DBKL) will be making an alternative route for residents to move in and out to ease congestion as the road needs to be closed. DBKL has prepared the community centre for residents to stay in. Food will also be provided. 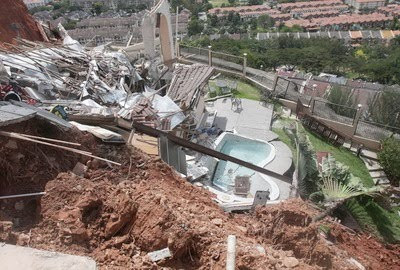 Eight luxury bungalows near the collapsed barrier have been extensively damaged, with one house being split into two. 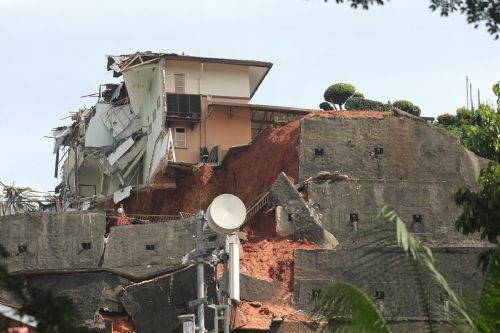 Mayor Datuk Ahmad Phesal Talib confirmed that so far seven houses were badly effected while 57 other families have been evacuated. What happened was the concrete barrier crumbled at 10pm Friday night and buried the only access road from Taman Puncak Setiawangsa. Friday Frolics - What's Your Dominant Personality Trait? Ever wondered what's your dominant personality trait? People change over time as a result of experiences, knowledge and skills picked up along the way, etc. Want to know what trait dominates your personality? Take the quiz to find out. Happy Friday, everyone! It's a hot sunny day here in Kuala Lumpur. Hope you are having beautiful weather too wherever you are. You are a warm, friendly, and considerate person. You think it's important to treat others well. You work well in groups. You love to cooperate, and you are a true team player. No one would ever accuse you of being selfish. You are sensitive to others' points of view. You notice other people's moods and take them into account. You try to make sure everyone is happy. 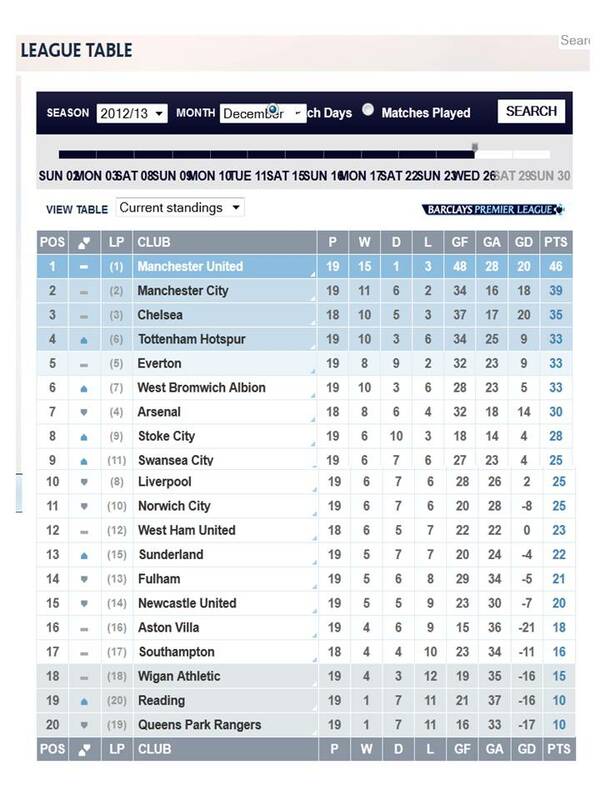 Another win puts Manchester United still at the top on the Barclay's Premier League table. 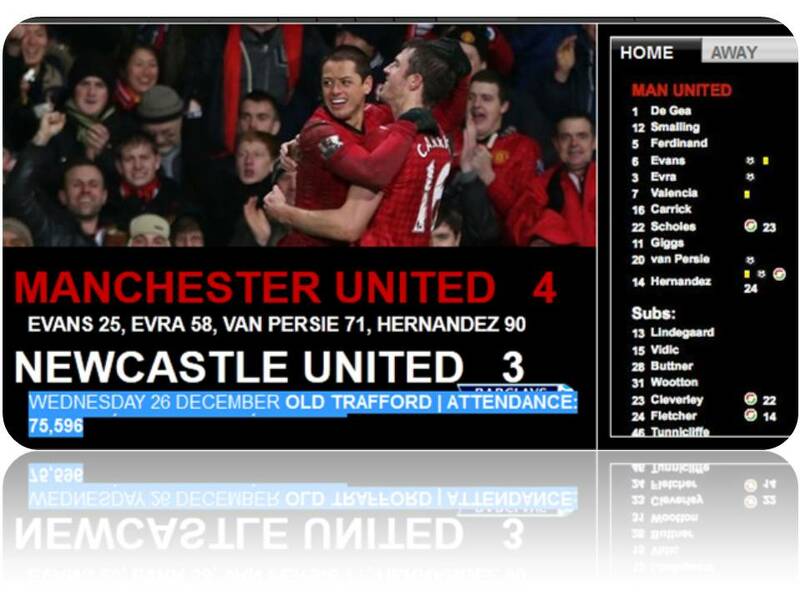 Manchester United snatched a staggering last-gasp victory over Newcastle United at Old Trafford, coming from behind three times before Chicharito slid home an injury-time winner to cap an unforgettable Boxing Day encounter. The Reds were rarely at their best against a brave Newcastle side, who exploited the hosts’ uncertain defending in rain-sodden conditions before succumbing to United’s improved second half display. More on the Manutd website.. In case you are interested, here are the match results of games played yesterday.. 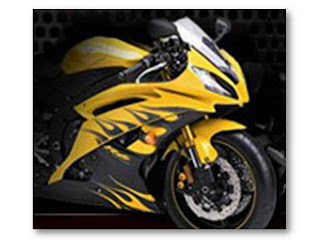 I came across a site that gave me an insight into motorcycles. Before that I never knew there is such a thing as a Motorcycle Cruise Control. In case if you are like me, ignorant about the workings of a motorcycle, what a motorcycle cruise control does is it makes a ride easier by allowing the rider to set a cruise and not making his hand cramp up having to hold the throttle open. It makes a long ride more enjoyable and comfortable with less hand fatigue and thus less stress. 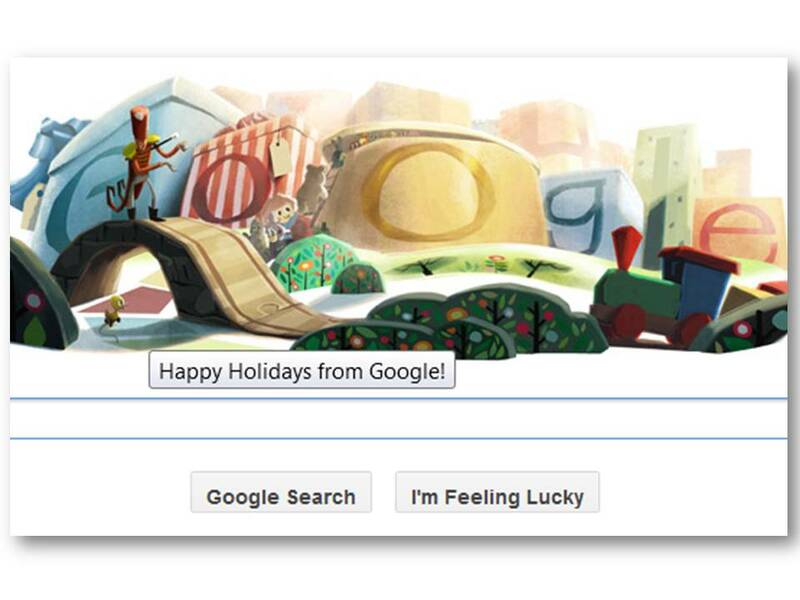 ..but disappointed with Google's doodle this Christmas. Don't they know it's Christmas? Someone forwarded an old video for Christmas. Thought you might also get a thrill from seeing old familiar faces including Paul Young, Boy George, Sting, George Michael and Andrew Ridgeley of Wham!, Phil Collins, Bob Geldof (of course) and others. Enjoy! 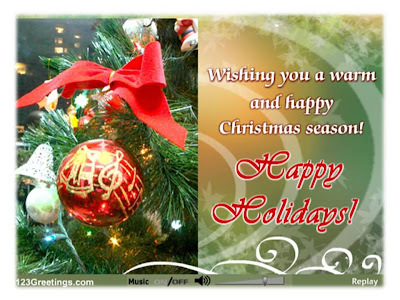 A short post to wish you "Merry Christmas and Happy Holidays!" Google doodle of the day..
My morning began with following a trail around the world (virtual, of course) on the world's best of something according to Travel and Leisure magazine. 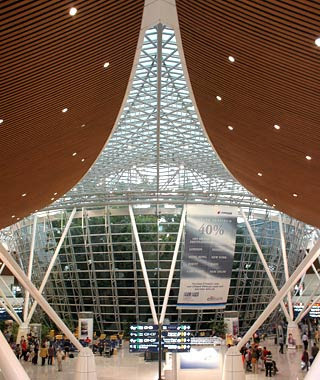 Did you know that Malaysia's Kuala Lumpur International Airport (KLIA) made it to T and L's list of World's Most Beautiful Airports? When I was clicking down the list, I was half hoping that KLIA would make the cut. Never mind it came in last on the list but hey, it made the list! 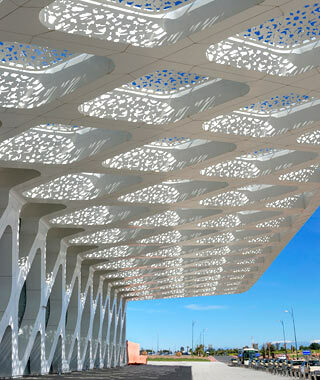 A few others who made the list include Kansai International Airport, Osaka; Hong Kong's Chek Lap Kok Airport; Marrakech Menara Airport, Morocco; Incheon International Airport, South Korea; and TWA Terminal, John F. Kennedy Airport, New York City. 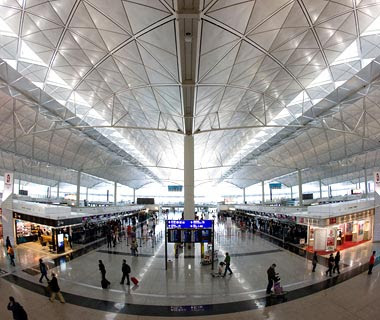 Commenters are asking why is Singapore's Changi Airport not included. Also visited the World's Most Beautiful Buildings, one of which is this one, Tiger's Nest Monastery in Bhutan which is precariously situated on a rock outcropping some 2,600 feet above the Paro Valley (which is itself about 7,000 feet above sea level). 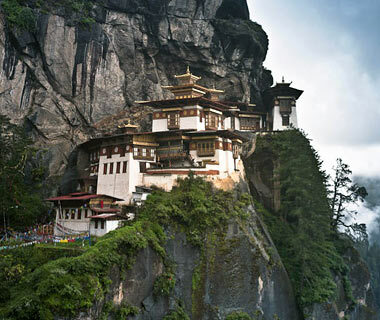 Paro Taktsang — or the Tiger’s Nest Monastery — is a breathtaking sight dating from 1692. 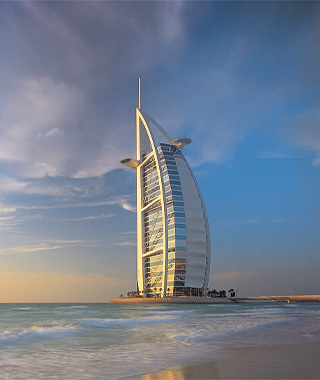 ..and the Burj Al Arab, but of course - a 60-story sail-shaped hotel, which sits on its own private island. Awe-inspiring! 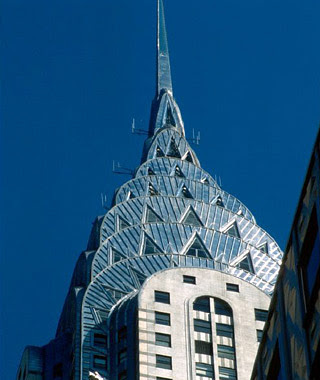 The Chrysler Building, New York City, is another on the list. 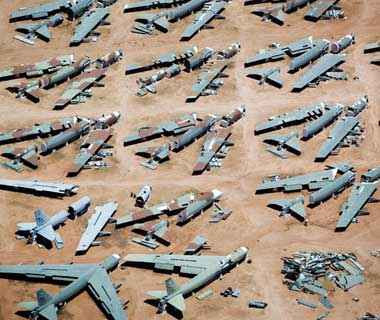 I even visited the World's Strangest Places - Man-made or otherwise. 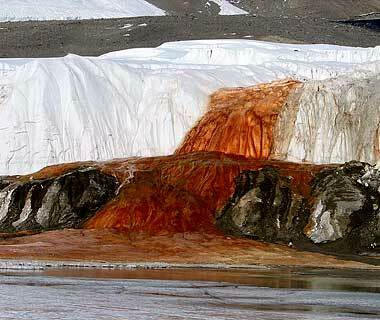 How's this for a strange place, the Blood Falls in Antarctica. 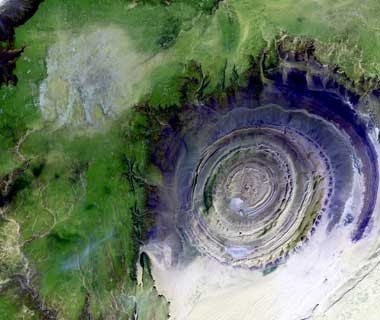 The Eye of the Sahara is clearly visible from space. 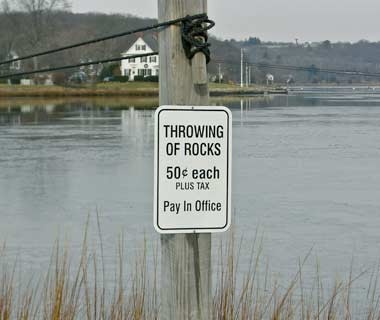 When we travel we tend to look out for strange and funny signs. 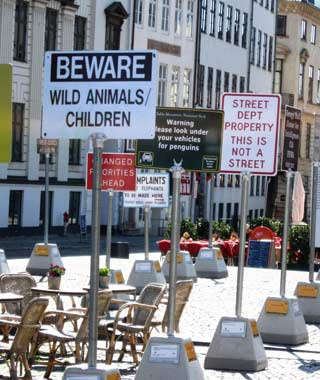 These here are some of the World's Funniest Signs as selected by Travel and Leisure and sure to get you smiling to start the day. Want more? Visit the Travel and Leisure website. December 21 - No "End of the World"
Dec 21, no end of the world. Are you disappointed? It sure was good to wake up with the sun shining outside my window this morning. Did you think the world would come to an end yesterday as what has been interpreted from the Mayan calendar? The joke is probably on us. Like the calendar we have in the kitchen on Dec 31, the Mayan calendar could have been something similar. If that were the case, today is the start of a brand new year in the Mayan calendar. A new day, a new life. This video is amazing to watch. It shows a child being born on a bus in China. I salute the mother who took it so coolly. Read the story here. We survived! It sure calls for a celebration! Have a wonderful, wonderful weekend ahead, everyone! Oh, it's Friday again! We live to see another new Friday! Yay! Didn't know there are big five personality traits until now. Take the quiz to find out which one is yours. Happy Friday or Winter Solstice or Dongzhi Festival! Last Friday's Quiz: Are You a Narcissist? Good morning! 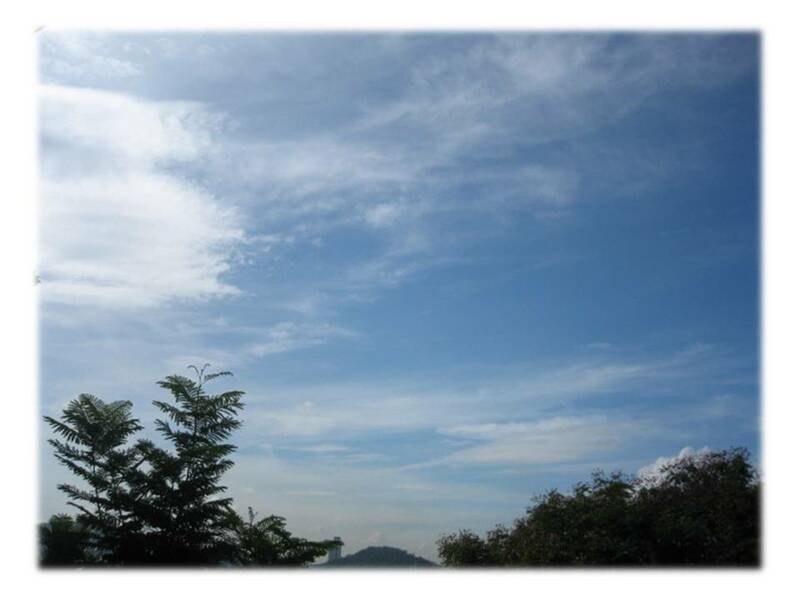 A look at the weather today spells another sunny blue-sky day. If you recall, it's supposed to be end of the world today according to the Mayan calendar. 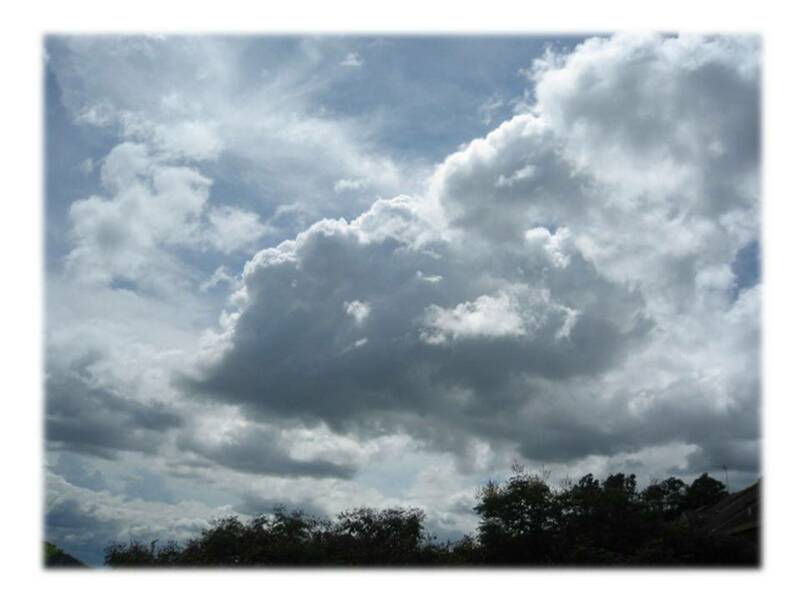 though it was overcast yesterday with some rain..
And the day before was sunny with these huge cumulus clouds with the sun's rays seeping through. A glorious day for sky-watching! Today is Winter Solstice - Dec 21, 2012 - celebrated in the Chinese community as one of the most significant Chinese festivals. 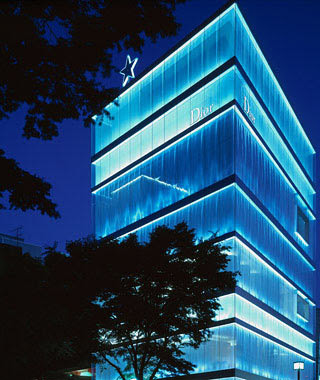 In fact, it is regarded THE most significant festival of the year, surpassing even Chinese New Year. Known as the Dongzhi Festival, it is the last festival of the lunar year before the start of a new lunar year. Dongzhi festival is traditionally celebrated as a thanksgiving holiday for the year's good harvest. It is a day where the family gets together for a feast and offerings are made to deities and deceased ancestors. 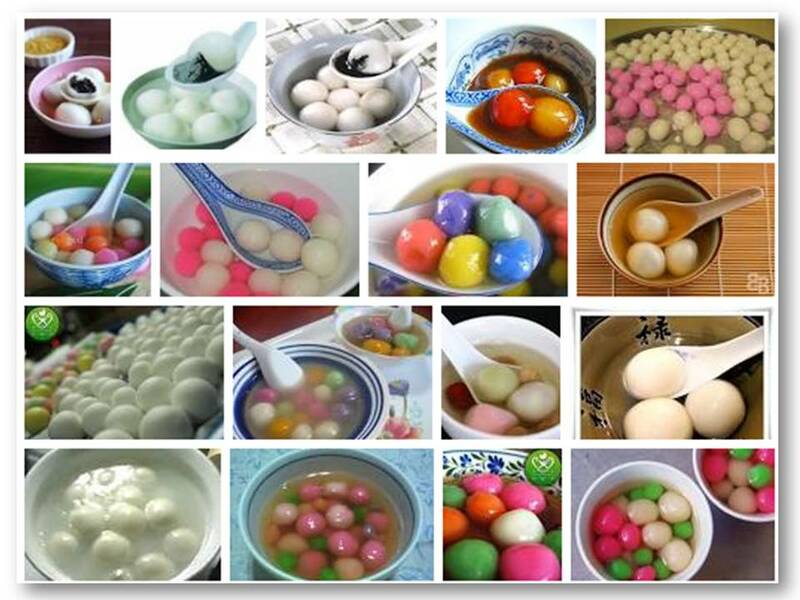 Glutinous rice balls called tangyuan in Mandarin are the order of the day. Happy Dongzhi Festival to you if you are celebrating the occasion! End of the world? Well, today is the day. But then again, probably not. 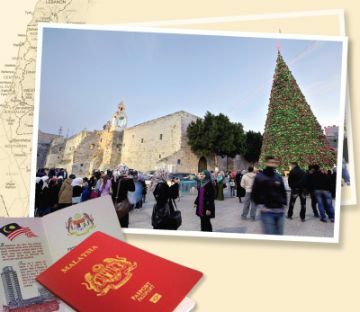 Indeed an early Christmas gift for Christians - The Government announced the lifting of restrictions on pilgrimages to Israel for Malaysians. Malaysia has relaxed restrictions for religious visits to Israel, lifting the quota on the number of pilgrims and allowing travel to anyone for up to 21 days at a time. 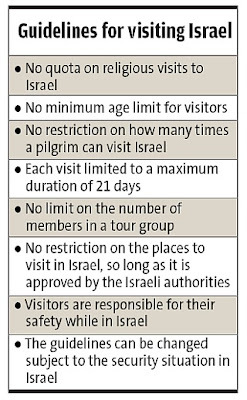 There are now no more quotas for those travelling for religious purposes to Israel. 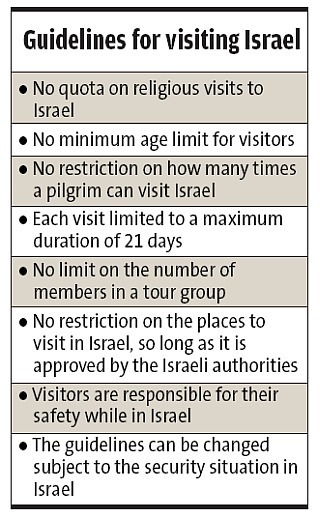 A 10-day visit to Israel could cost between RM8,000 and RM12,000. Malaysia has no diplomatic relations with Israel. A friend who is using the 1000 Places To See Before You Die book as a guide to his travels would be glad to know about this news. Have you been to Israel? Share with us your experience. I don't mean for Malaysia to be a copycat but then again, good things should be copied shamelessly as what a colleague used to say. Isn't there an idiom that goes something like to be copied is the best form of flattery? 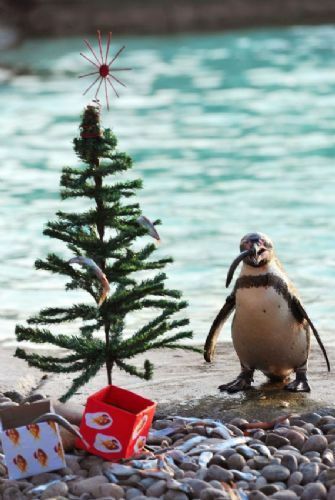 I saw two pictures in The Star that capture the spirit of Christmas, of all places, at a zoo. 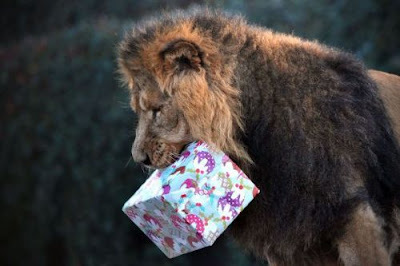 It's the London Zoo and the animals even receive gifts. How sweet! It got me wondering if our Zoo Negara (National Zoo) too celebrates our major festivals with the animals or create a festive atmosphere both for the animals as well as for visitors. Maybe they do now. I'm guilty of not having visited the zoo in the last ten years or so even though I pass by it quite a bit. Come to think of it, anyone who commutes to work using the stretch of the Middle Ring Road 2 (MRR2) in the Ulu Kelang area passes by the National Zoo at least once a day. 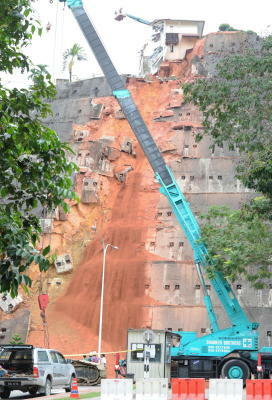 Here is the location of Zoo Negara. It is worth a visit when you visit Kuala Lumpur. And now a look at Christmas at the London Zoo..
Merry Christmas, everyone! 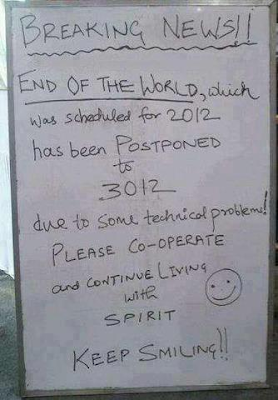 The End of the World has been postponed. Do you collect Military rings? Many things can be collected - from collecting coins to watches, military rings (like the one in the image), stamps, postcards, motorcycles, Barbie dolls, beer tankards, vintage wear, to so many other stuff that I probably have no idea about. If you are looking for collectibles and happen to be in Kuala Lumpur, do visit the flea market at Amcorp Mall. It is open Saturdays and Sundays. Who knows, you may find something that you can add to your collection back home. There is even an auction on one of the Saturdays. It's hard not to be sucked into the hype of the end-of-the-world thingy. A company a friend works for is holding a company party this Thursday. I asked him what's the occasion. He said simply - to celebrate before the "end of the world" happens the following day, Dec 21. See what I mean? Perhaps all this is just much ado about nothing or on a lighter side, end of the world is being postponed? Friday, Dec 21, happens to be a significant festival for the Chinese community. Last year, Dongzhi festival was celebrated on December 22. It is the day we celebrate the Winter Solstice festival where family members get together. In the old days, this festival is to give thanks for a bountiful year but these days, the family just get together for a feast and offerings are made to deities and deceased ancestors at the shrines at home. This is a normal scenario at a Taoist/Buddhist home. The Winter Solstice festival is known as the Dongzhi festival in Mandarin. 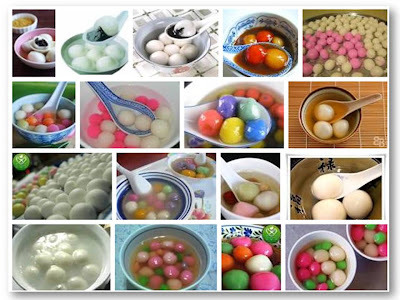 The specialty food associated with this festival in this part of the world is the tangyuan (glutinous rice balls cooked in syrup). These glutinous rice balls (used to be in white and pink now come in more colors) can be plain or filled. They symbolise reunion, togetherness and completeness. In northern China the tradition of eating dumplings is still practised. Development and industralization go hand-in-hand and as a result, air quality suffers if steps are not taken to contain contaminants that are emitted into the atmosphere. For the individual, he can only safeguard his own health by improving the space he lives in. In the home, an iq air healthpro plus air purifier will ensure that he and his family have better quality air to breathe in. What this air purifier does is, through their different air filtration system, it drastically reduces the particulate and molecular air pollutants in the space it is operating in. 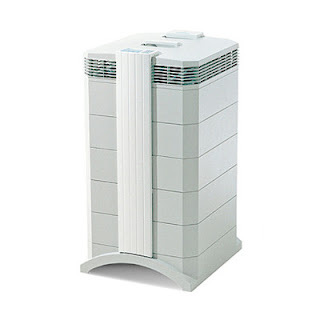 For anyone who is concerned about his health or suffers from respiratory ailments, this makes an ideal air purifier. Too much violence in the world..
(CNN) -- Nearly 20 people died Friday in a school shooting in Newtown, Connecticut, a law enforcement source with knowledge of the investigation told CNN.
. Knife attack at Chinese school wounds 22 children Beijing (CNN) -- Twenty-two primary school children were wounded in a knife attack Friday in central China, authorities said. The attack took place at the entrance to the Chenpeng Village Primary School in Henan province, according to the public information department of Guangshan county, the area where the school is located. An adult was also wounded, it said. Several of the children are in critical condition.
. Justin Bieber's murder, castration plotted, police say (CNN) -- A New Mexico inmate, an ex-convict on probation and his nephew are under investigation for plotting to castrate and murder pop singer Justin Bieber, police said Thursday. Their unsuccessful scheme called for targeting Bieber and his bodyguard while in New York City in mid-November, and their motive grew from the inmate's quest for notoriety and his infatuation with Bieber, said a New Mexico State Police affidavit. Let's not even touch on what's happening in the Middle-east.. The McDonald's Prosperity Burger is something to look forward to at McDonald's this time of the year. Yes, the Prosperity Burger is back! This burger comes on the menu roughly a couple of months before the Chinese New Year, thus its name. After a lapse of a year, I had my very first Prosperity burger of the season the other day and it still tastes just as good, I tell you. Only the beef burger is available at the moment which is normally the case. Give it another month or so, the chicken burger will be served alongside. But I still prefer the beef burger. 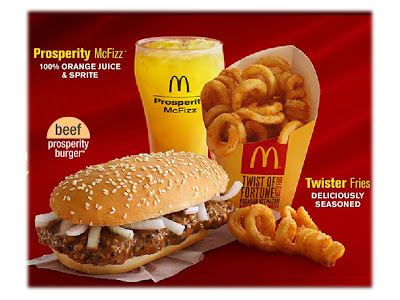 You can order just the burger itself (ala carte) or the set meal which comprises the burger dipped in yummy spicy black pepper sauce with a generous topping of onions, Twister fries (deliciously seasoned) and a drink, the Prosperity McFizz which is 100% orange juice and Sprite. 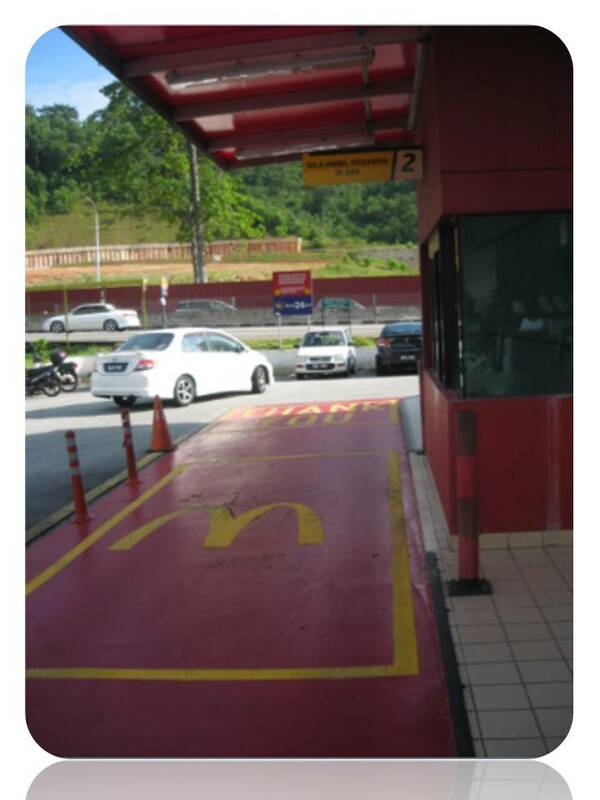 So, have you had your bite of McD's Prosperity burger yet? Friday Frolics - Are You a Narcissist? Strange reading this one. See what it says about you. Happy Friday, everyone! Blue skies here in Kuala Lumpur. You definitely don't have an ego problem. If anything, your ego tends to be a little too small. You have a healthy, humble attitude about yourself and others. You don't boast or brag. And you don't think you're better than anyone else in the world. Last Week's Quiz: What Color Fireworks Are You? Year-end shopping sales and "end of the world" are hot topics at our meal-breaks. Someone even shared that besides the unavailability of power supply, lighters are also not able to be used though this is hard to fathom. Charcoal stoves are also advised, both for cooking and to keep warm as it is believed there won't be any sunlight/heat during the three-day transition. Left to be seen, of course. Me? It's better to be prepared so I'd be sure to stock up on some food (non-perishable - remember the fridge won't work), drinking water, batteries for torchlights and other standalone lighting implements, candles and matches. Feel free to add to this list as you see fit. Maybe much ado about nothing but you never know what's going to happen. We have been advised to pray - collective good vibes through prayer may be able to lessen the effects of this doom-and-gloom event of our lifetime. Maybe, nothing will happen and the event has been postponed? You think? 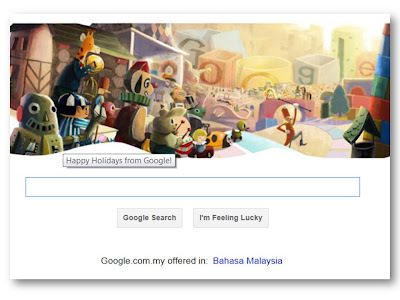 Today is 12-12-12. A string of date/month/year numbers that will only come by again in a hundred years - definitely not in our lifetime. Are you doing anything memorable to commemorate this day or will you just let it go by like any other day? Read about what to expect in the 11th lunar month in the article below. In it is also a link to individual horoscope readings for the forthcoming Black Water Snake Year in 2013. Not very positive news for most horoscopes, I'm afraid. Still, some things can be avoided, I think. 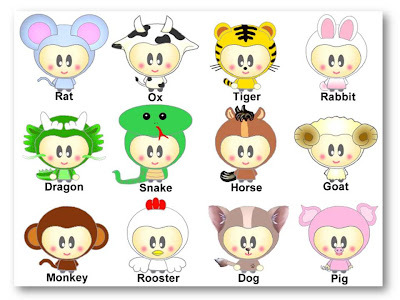 The General Chinese Animal Horoscope for 2013 The Year of the Snake is HERE! Before you read the individual animal horoscopes, please ensure that you read the General Fortune for 2013 at the top of the page as it will affect everyone. CLICK HERE for details of the Chinese Horoscope 2013 Snake Year --> http://www.jmine.com.sg/chinese_horoscope2013.htm . While reading the individual animal horoscopes, bear in mind that the projections are according to the general analysis of the animal signs only. They are not personalized projections. As we draw closer to the Chinese New Year, you might receive many suggestions from many sources regarding the 2013 yearly Feng Shui recommendations. Should you have done a Feng Shui review for your house or commercial premises(full layout) with me previously, please do not change your arrangement because the specific recommendations that have been given to you during your Feng Shui Review will override any recommendations that might be mentioned in the yearly Feng Shui recommendations. If you are born in the year of Snake, Pig, Tiger, Monkey and Dragon, you will be in conflict with Tai Tsui in the 2013 Snake year. However, among all the animal signs, those who are born in the years of Ox and Goat will have the weakest luck. 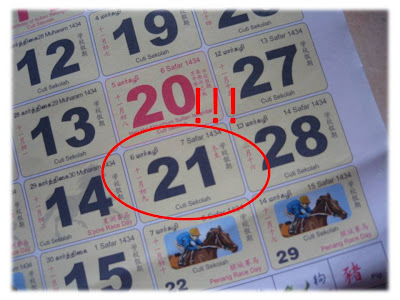 The Chinese New Year for the Snake will be on 10 Feb 2013. If you have done the fortune reading or life analysis a year or more ago with me, the 12 months after session support will have expired. In order to continue enjoying the support, you might want to arrange for a reading. If you have not done a reading and are interested in doing a personalized fortune reading with me, you might want to arrange for one soon in order to be able to plan ahead, as there will be more instability in the coming year and there will be some matters which will take some time to achieve and you will want to tap on all the possible opportunities. The Chinese Horoscope 2013 is only for the general public and is not tailored to an individual's case. 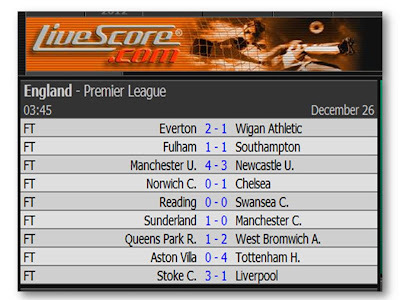 There I've done it - something done on 121212 at 1212pm. Have a really great day, everyone! Cheers! Just like making a trip to the edge of a live volcano, seeing an iceberg up-close must be an experience of a lifetime. I saw an iceberg. Gotcha! 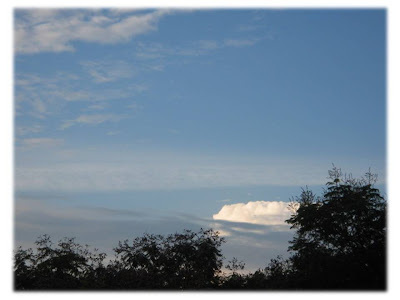 I saw a pseudo-iceberg in the sky yesterday morning. Woke up with the sun yesterday and caught sight of this huge cloud against the blue sky and thought it looked like an iceberg. 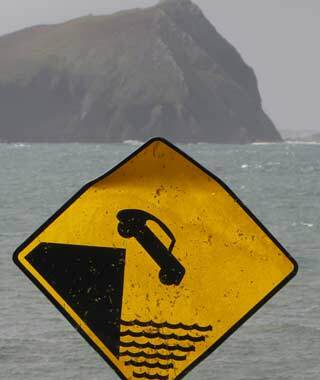 Don't you think it looks like an iceberg and with the horizon in the distance too? Today is a Public Holiday for the State of Selangor commemorating the Birthday of the Sultan of Selangor. 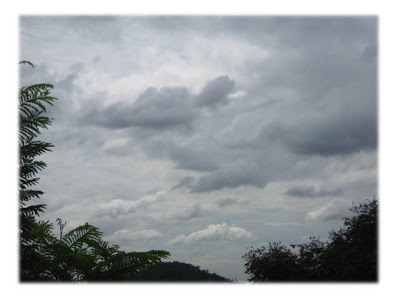 It's past midday and would have been a great day for an outing only thing is, it's raining outside. And heavy too. Increased rainfall this time of the year due to the monsoon has prompted many reminders from the authorities about taking precautions in the face of floods. In case the reader thinks it's all wet and rain all the time, we have fair weather sunshiny days too this time of the year. Proof.. Was at McDonald's yesterday. Took a picture of the drive-thru with the hot sunshine in the open. 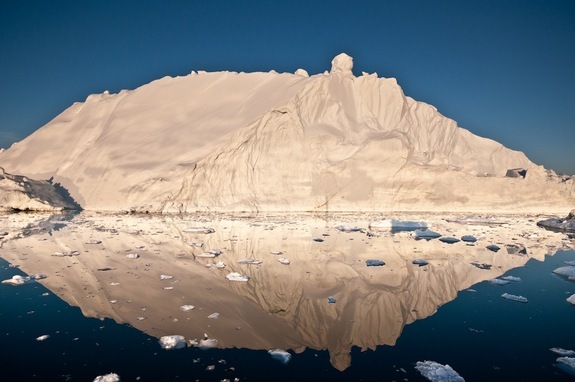 On the subject of iceberg, came across this picture of an iceberg in relation to melting and Earth's vanishing ice. Big Bad Wolf Book Sale 2012 is here! Friday Frolics - What Color Fireworks Are You?